I’m Charlinsky from the Dominican Republic and was originally an engineer and worked in New York, Milan and Spain. It was in Spain where a lot of my friends worked in bars and often got me behind the bar for fun. It started as a hobby, but people kept saying they really enjoyed my drinks, so I decided to change my career. 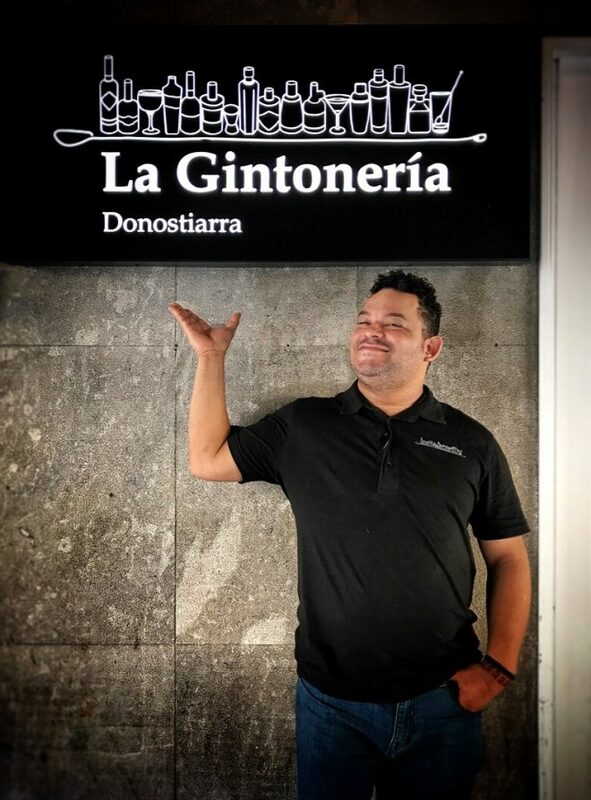 That was 11 years ago and now I’m the head bartender at La Gintoneria where our philosophy is to enhance the flavour of every one of the 109 gins we serve here. It would definitely be in San Sebastian as the people here know so much about food and flavours and I love that. I’d like a small bar with four stations, so there’s really time to talk to customers. It would be dark with lot’s of crystal so it shines like a jewel. I would definitely serve food in my bar as it’s what San Sebastian is famous for. I would also want a lab alongside the kitchen. When I have time off I like to go out on one of my two motorbikes and explore, as I love to travel. Of course it’s gin as there are so many and all with very different flavours. There are so many nuances with gin and I especially love the spicy ones. My two favourites at the moment are Sipsmith and Citadelle. Balance and the bartenders knowledge of the ingredients they use. I really like using spices, as there is such a wide variety to choose from. They are so versatile and we use them a lot here at La Gintoneria. My choices are all from London and they are: The American Bar, 69 Colebrooke Row, Callooh Callay and Nightjar.